This entry was posted in Married D/s and tagged clothespins, loved, married submissive, pain, pleasure, Sir by shygirl. Bookmark the permalink. Oh those clothespins! How beautiful, and a wonderful reminder! Starting out with found objects sounds a bit more tame, doesn’t it? Maybe your hubs will think so!! As for feeling tame… well, that’s a different story altogether. 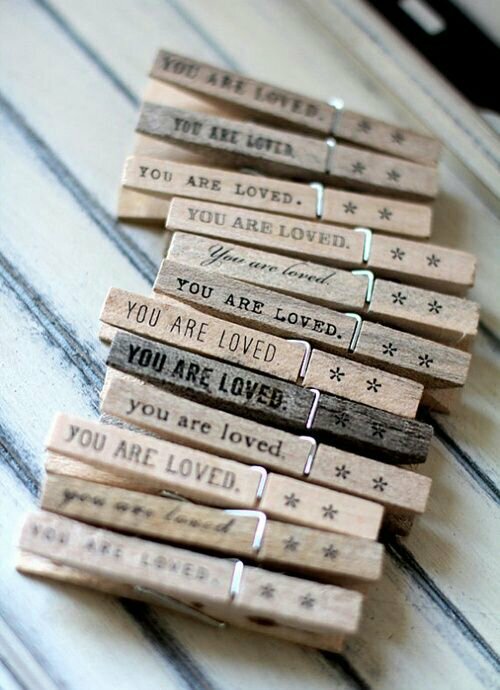 I love those clothespins!!!! Thanks for giving me a smile this morning. 🙂 I wish I had the ones pictured! This weekend my sir saw a tantalizing pic of a woman with clothespins and showed it to me. I smiled and said, “I have those kind at home.” His smile was priceless. I said that mine were even pretty ones. I thought he might just jump me right in front of the kidlet. Can’t wait to try them out. I was afraid to bring them up in case he thought that was too weird. Silly me. My Sir has become quite smitten with the clothespins. You can stretch the spring a bit to make varying degrees of pinch! I’m going to make some like the ones in the photo. Post a pic when you do! I’d love to see them. I’m a craft nut. 🙂 I’m glad to know about the springs. I’ll have to try that. Thanks!